Anyone who knows me will tell you that I’m a busy guy. Right after that, they’ll usually tell you that I’m also not a particularly organized guy. So when I’ve got a beast of a day to get through, it behooves me to have a little help. 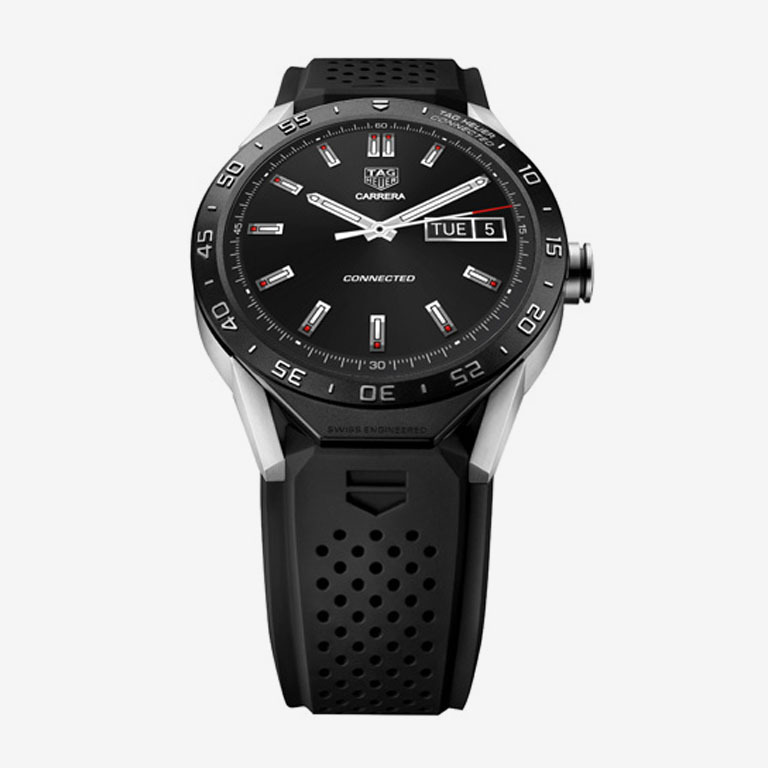 Enter the TAG Heuer Connected, the first Android-enabled wearable from the Swiss timekeeping titan. Recently, the Powers That Be over here at InsideHook handed me one and told me to test it out on my day off. What ensued involved candlelit underground pools, fire-blowing acrobats, helicopters and at least one guy doing his best to punch me in the face. 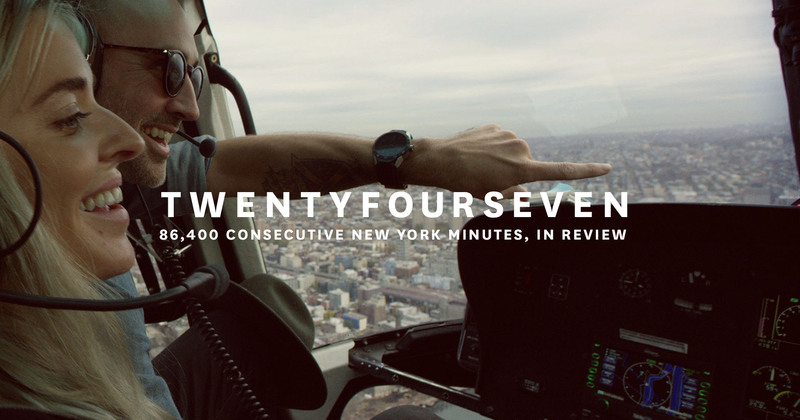 So join me as I check out 10 of the most righteous experiences NYC has to offer, including the handsome timepiece that helped carry me through. Oh, and about that watch: you can hold your cursor over it and press “click” at any point in the video for information on picking one up. Modeled after TAG’s flagship Carrera, but equipped with bluetooth integration, 4GB of memory and an upgraded Intel processor. A charming bit of Adirondack coziness tucked surreptitiously inside an unassuming Williamsburg townhouse. I tell anyone coming to visit (and plenty of people who actually live here, to be honest) to stay here. The digs are exceedingly comfy, the owners are the coolest people ever and you’re close to tons of great stuff without having to deal with typical city hotel madness. Be sure to check out their new spot down in Nashville as well if you’re down that way. Like I said, imagine the lobby of a cool hotel without the hotel — relaxed and super inviting space, stellar coffee, always full of cool and interesting people. Bar opens a bit later in the day and gets absolutely jumping at night with one the best looking crowds I’ve run across. Great weekend brunch, too. I typically cut my own hair but this place is so rad I like to come through just to make a production of it: trim up top, hot towel shave below and then the aforementioned hangover treatment that includes a head massage and everything. Come to think of it, I’d stop by for that even if I didn’t need a haircut. Ask for Fausto, he’s the man. As a guy who’s constantly running late, Blade has saved my bacon more times than I can count. Late for a flight? You’ll make it. Late to pick up your girlfriend? Tell her you planned it. Need a lift out east or up north when the freeways are jammed? Skip the gridlock. Plus their lounge is absolutely gorgeous and the whole thing’s not nearly as pricey as you’d think considering it’s, well, a friggin’ helicopter on demand. Gleason’s is awesome because while it’s a real fighter’s gym (recently skipped rope next to WBA champ Yuri Foreman), the crew is so welcoming and friendly that even a never-thrown-a-punch rookie won’t feel intimidated or out of place. Sure, coach Eric Kelly has been known to spout insults at his fighters (myself in particular) at top volume, but — no B.S. — you’ll be in the best shape of your life in no time. Whether you’re floating solo or taking a date to enjoy the subterranean candle-lit ambience, you simply cannot go wrong with this place. It’s so serene that it’s sometimes hard to believe that the city bedlam exists a mere floor above. The gold standard of NYC decompression, I would come here every single day if I had time. If you want to look great — like legitimately, strangers-will-compliment-you-on-the-street great — just go see Franco Salhi at Vesture. My man has a quarter century in the biz, almost 20 of those working for legendary Italian fashion house Zegna. He has forgotten more about men’s style than you or I will ever know. Everything from suits to shirts to cashmere sweaters, all in an über-mellow private atelier miles above the typical retail chaos. And the gratis scotch certainly doesn’t hurt, either. I’ve always had trouble getting earbuds to stay put. This trend ended with a visit to Normal, where space-age gimcrackery yields two tiny ear stereos that nestle into your sound caves, stay there, and deliver the dulcet strains of “Welcome to the Jungle” at a volume that will cause you to stop whatever you’re doing and shred an air axe solo on the spot. Their new jam: custom rose gold buds that your lady would love to find in her stocking. I’ve always said that a weird date is usually a good date, and Queen of the Night most certainly fits the bill. There are fire breathers. Acrobats. Performers moving through the crowd engaging various patrons in highly suggestive dances. And the wine flows like, well, wine should. If you’ve not been, grab a date and remedy that directly. A good social club is a place where a guy can get some work done, watch sports, have a drink and play cards. All in the space of an evening, preferably. Lucky Guy is all that plus a full service tailor, custom shoemaker and master barber. Chock full of solid fellas, besides. Shoot them an application and become one of ‘em.